Soon I’ll be packing my case, and setting off on the long walk to the station, to catch a fast train, bound for London, the airport, and ultimately, the Home Kitchen. This entry was posted in Food Diary, On the road, Recipes and tagged anchovies, avocado, ham, paleo, recipe, salad on February 18, 2015 by paleovirtus. Dateline: A miserable Monday in February, just after Valentines Day, and quite a while before Easter. Wet. Cold. Sky like a crumpled, tatty, gray bin liner. A soup day, in other words. This entry was posted in Food Diary, On the road, Recipes and tagged Beef, paleo, recipe, soup, vegetable on February 17, 2015 by paleovirtus. I’m on the road again, and so away from all the comforts of the Home Kitchen. When on the road you have to be prepared to be adaptable, making do with simple, easy meals, as and when you can take them. This entry was posted in Food Diary, On the road, Recipes and tagged cashews, paleo, recipe, salad, salmon on February 16, 2015 by paleovirtus. This was supposed to be a 30 kilometre bike ride to watch my daughter in a game of football, Association football, that is, what some of you might know better as “soccer”. 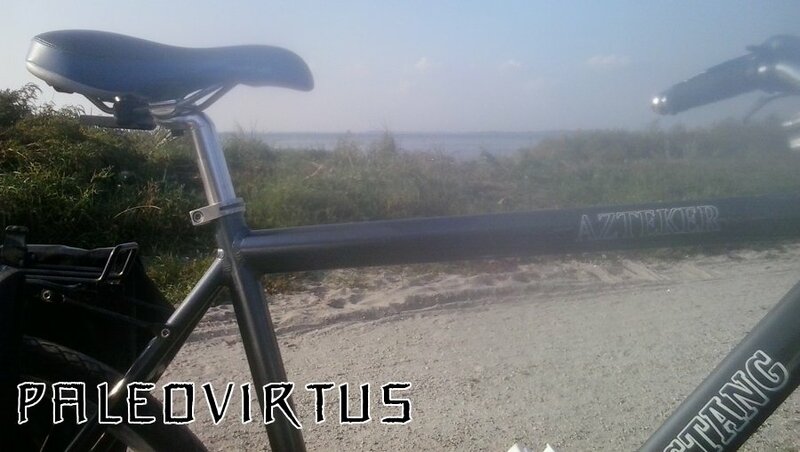 About 5 kilometres in to the ride, Mrs. Paleovirtus, who does all the administrative bits and pieces for the team, called to inform me that the match had been cancelled. She came up with a jolly good suggestion, clever devil that she is – knowing I had a good cargo of fuel-type snacks lurking in my panniers, she suggested that I still make something of the afternoon and head out towards the seaside village of Lomma, roughly 13 kilometres up the coast, and have a picnic. winds we often get around here. Despite briefly getting lost in a confusing jumble of roadworks that had spilled out from the motorway to engulf the cycle path, I made good time and was soon pedalling through the outskirts of Lomma. I made a bee-line for a bench I’ve used on more than one occasion in the past, and plonked myself down with my picnic goodies – bananas, a mix of walnuts and cashew nuts, and good old Adam’s ale. After a short while taking in the sea air and basking in the rather unseasonable sunshine, I packed up my things, and pointed my front wheel in the general direction of town…. 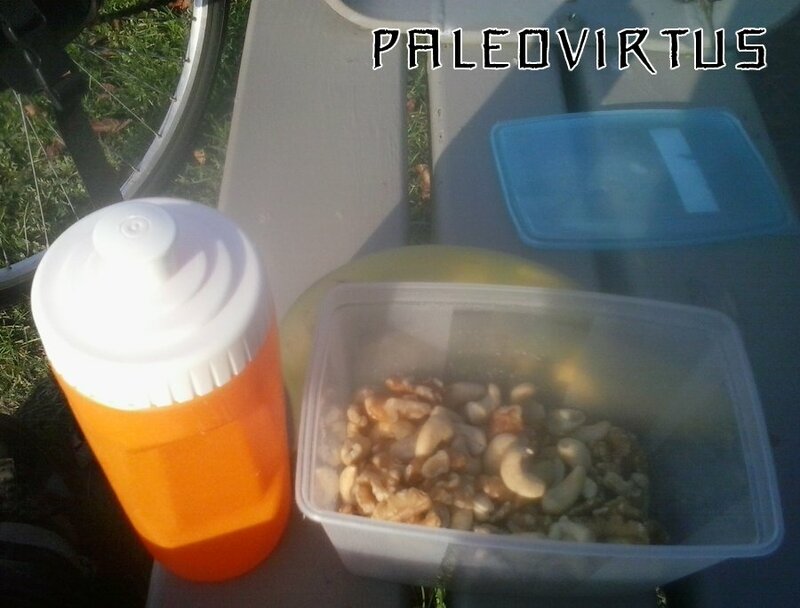 This entry was posted in Food Diary, On the road and tagged bike ride, paleo, picnic on September 19, 2014 by paleovirtus. Due to a potentially unhealthy mix of excitement and nerves, I was awake at 6:00 am – a full 2 hours before the on-board restaurant opened to begin serving breakfast. Luckily I still had a few pistachios left to fall back on, and so I snacked on them until the time came to go up to deck 8 and get a proper meal inside of me. As so often happens on a road trip, unless you actually have the capacity to physically carry everything you intend to eat with you, you simply have to be prepared to compromise your purest Paleo principles up to a point. This was obviously going to be the case here, so I chose the next best option – sticking as closely to the core concepts of Paleo as possible, but avoiding the obvious no-nos such as the juices, dairy, cereals and breads. 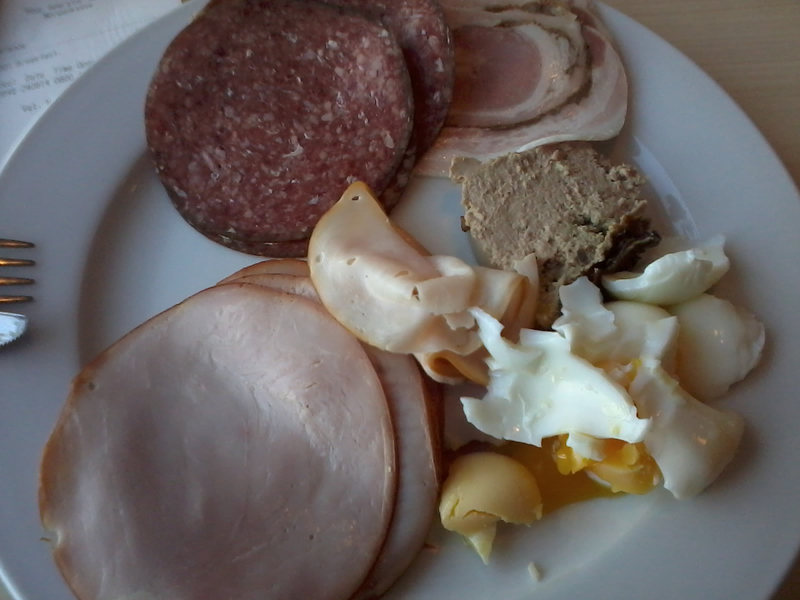 This was, however, a Danish boat, and if there is one thing that my Danish cousins excel at, it’s knowing what to do with the flesh of a good pig, and so I was able to assemble a pretty damn fine breakfast plate with various tasty cold cuts, a handsome looking liver pâté, and boiled eggs. Did I say plate, as in the singular form? My bad. That should read plates – the plural form of the noun, for I returned to the buffet on more than one occasion. Throw in a pot of excellent coffee and a sea view, and I sauntered out of the restaurant a half hour later set up for the day. Some 3 and a bit hours later, the boat docked, and I strolled through a curiously deserted passport control, and in to the arms of my womenfolk, who, bless them, had made the trip from home to meet me off the boat. Not only that, but they had also come tooled up with a splendid array of fruit for us to scoff on the train home, as well as a bucketful of walnuts and cashews. Happy days. Once home, and after a prolonged and rather emotional reunion with the aforementioned feline lunatic (see “Day 1”), we went out on a shopping expedition, and came back with cold smoked salmon. Add in a bit of lemon, plenty of white pepper, and a few vegetables simply prepared, and you had the makings of a homecoming meal fit to grace anyone’s table. 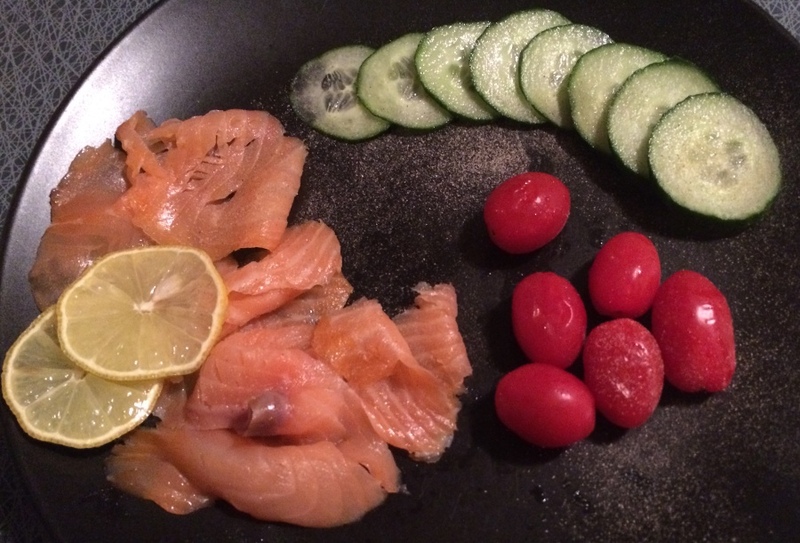 This entry was posted in Food Diary, On the road and tagged breakfast, cold smoked salmon, homecoming, On the road, paleo on August 25, 2014 by paleovirtus. I’m on the road again, but this time I’m homeward bound, heading Northwards, towards the Home Kitchen, where my womenfolk and somewhat disturbed cat await. 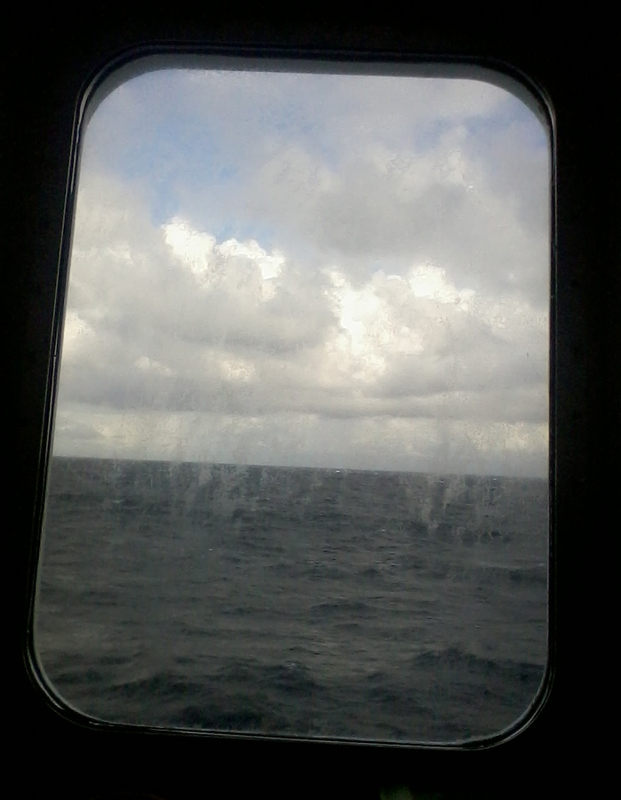 The trip is scheduled to be, all being well, a leisurely 36 hour job. Day 1 was set to be a long one, however, with a 3 hour car ride to begin with, then a wait of several hours in a ferry terminal, followed by 18 hours on the ferry itself. I came armed with reserves consisting of a sack-o-fruit™, and a packed lunch containing sardines, carrots, and boiled eggs. 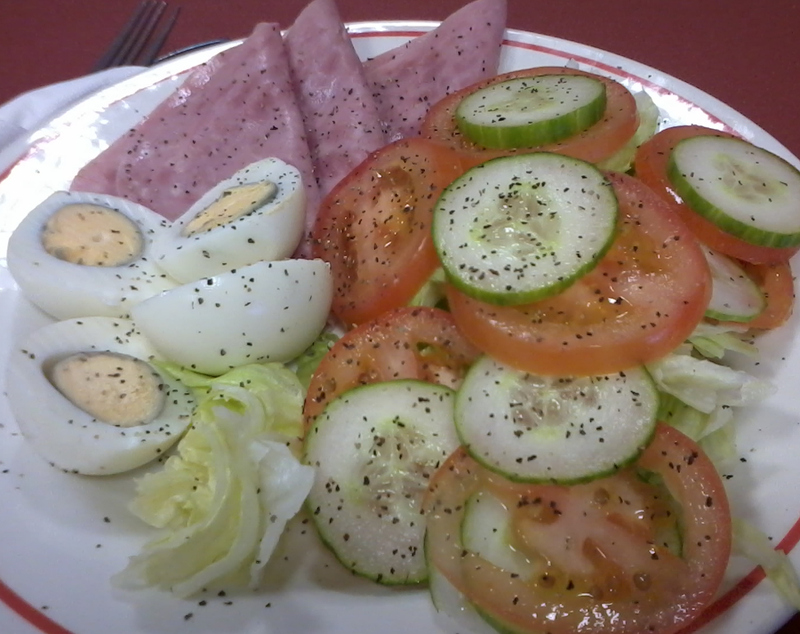 Luckily, the ferry terminal’s “Quayside Cafe”, (specialities – chips, lasagne, or chips with lasagne), was able to think slightly outside of the box, and prepare me a plate of boiled egg halves, lettuce, cucumber, tomato, and ham. I politely declined the chemical looking, glow in the dark dressings on offer, instead choosing to dose my meal liberally with black pepper, before wolfing it down. This meant I had the lunch-box I prepared that morning still to go at, sparing me from the outrageous costs involved by eating on-board in the boat’s restaurant. Unfortunately, just a few hours later I was hungry again, and so finished off the last of the sack-o-fruit™, the carrots, and the boiled eggs, leaving me just the sardines as emergency rations if the boat proved to be a total dead-end food wise. 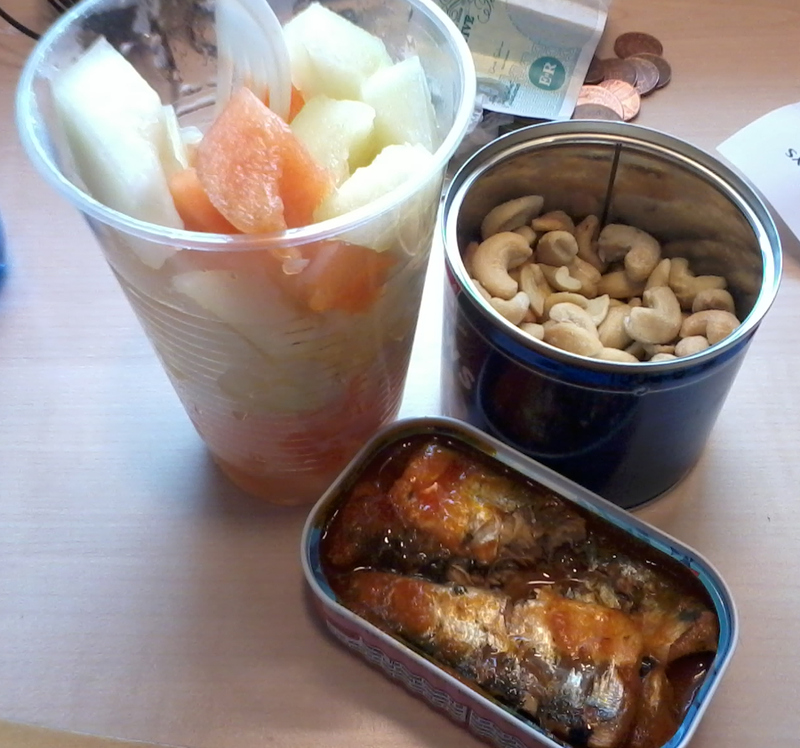 Luckily enough, I was able to score for some moderately expensive cashews and pistachios and a large plastic cup of fruit salad to go with the sardines. Not exactly haute cuisine, but certainly enough to drop-kick the hunger demon overboard and into the middle of an increasingly bouncy North Sea. 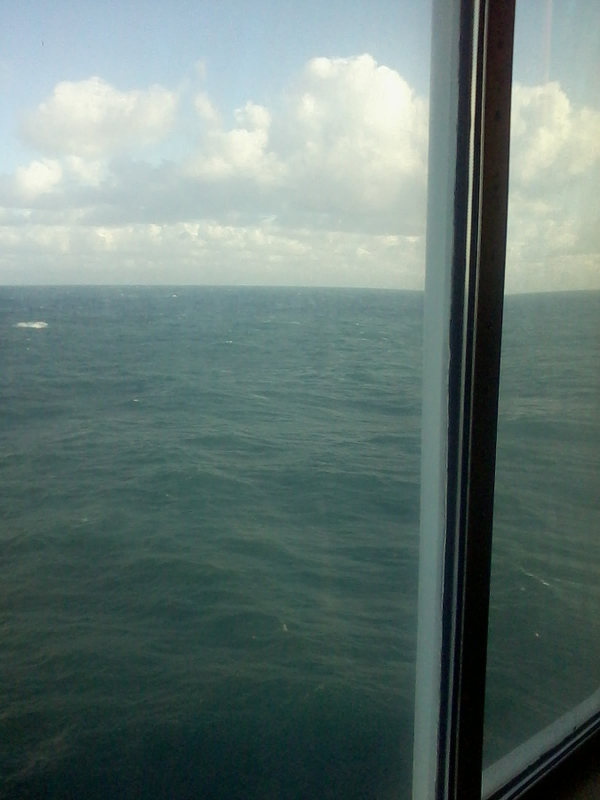 Still, the view out of the cabin porthole made for a memorable little mealtime, as England slipped away in the boat’s wake, and we headed into the twilight, the boat’s pointy-end facing Scandinavia. Pleasantly full, I reclined on my bunk and sipped on a bottle of chilled mineral water whilst listening to a collection of 70s hits, before killing the lights, and turning in for an early night. 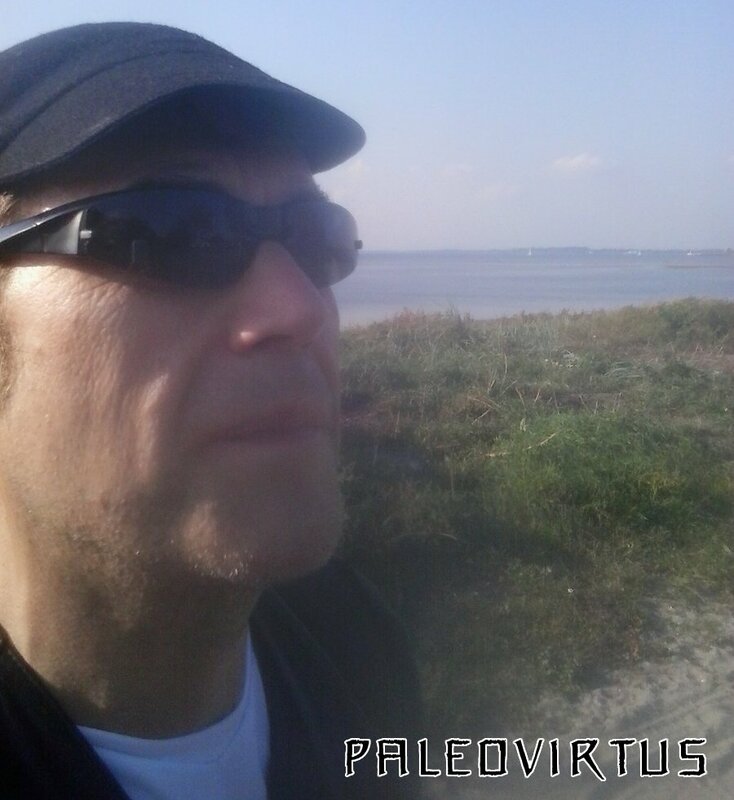 This entry was posted in Food Diary, On the road and tagged On the road eating, paleo on August 24, 2014 by paleovirtus.